Ground beef is highly susceptible to spoilage, more so than solid slabs of meat because of the large amount of surface area exposed when it is ground. 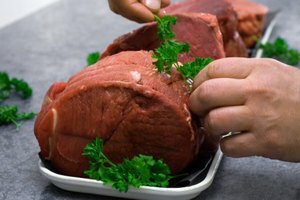 While tainted meat is dangerous for anyone, it is particularly risky for babies and other young people, older people and those who have compromised immune systems due to illness or a medical condition. 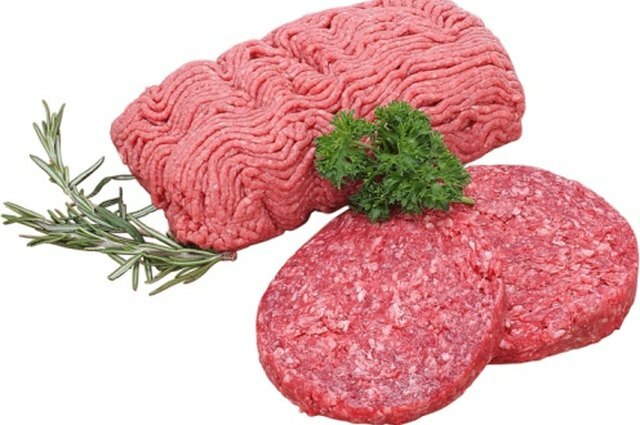 Handle ground beef properly and know the signs of spoilage in order to avoid illness. Ground beef is safe to eat when it is cooked to an internal temperature of 160 degrees, but if it is already spoiled, that temperature will not ensure safety. Read the label to determine whether your ground beef has been purchased by the date listed. Store the ground beef in the refrigerator as soon as possible after purchase. Inspect the ground beef. It is normal for ground beef to be darker on the inside and more red on the outside. 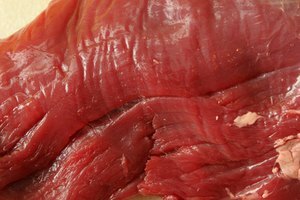 Redness is a sign of exposure to oxygen, which happens naturally when the beef is ground. 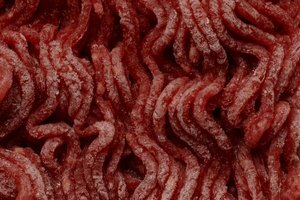 If the ground beef is dark or gray all the way through, it might be contaminated or on the fast track to contamination. Smell the ground beef. Spoilage produces a sour smell or a deep, rancid smell. Fresh ground beef smells clean and has no strong odor. Feel the surface of the ground beef. Beware of spoilage if it is slick, slimy or sticky to the touch. Taste cooked ground beef carefully to see if it has an off-flavor or taste. Even if it passes all the other tests, if it tastes bad, don't eat it. Use your ground beef within a day or two of purchase. If you cannot use it quickly, wrap portions in aluminum foil or place portions in plastic freezer bags, label them and put them into the freezer. 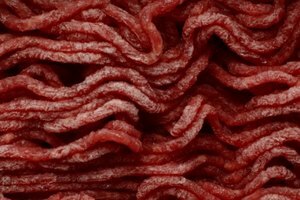 The Virginia Cooperative Extension says ground beef that is frozen properly will last for three or four months. Ground meats other than beef are just as susceptible to rapid spoilage. Handle all ground meats carefully. 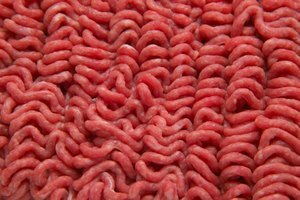 Wash your hands with warm water and soap after handling raw ground beef. Also wash any surfaces or utensils the raw meat touches. Never taste raw or undercooked ground beef.